Made by hand in our shop in NYC. 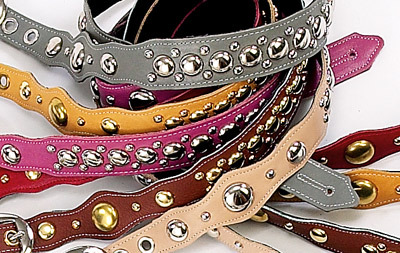 1" wide, fully adjustable, stylized, extends to 54", adorned and fully studded. Made by hand in our shop in NYC. 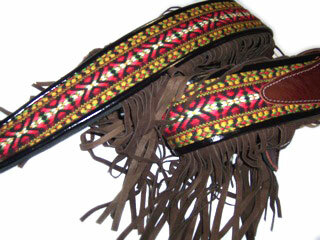 2.25" wide full leather body with woven hootnanny fabric and 6" suede fringe. Leather tip and tail with leather lining. 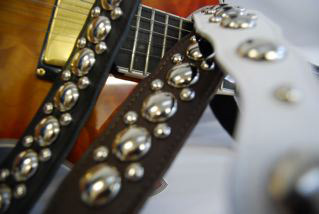 Available in over 100 different vintage styles....please click here for available styles. 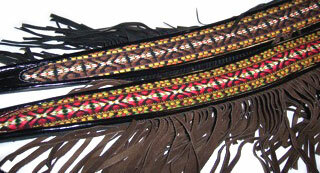 Choice of brown or black 6" suede fringe. 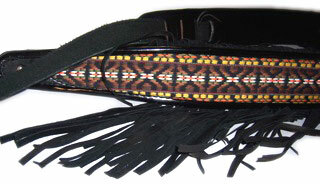 Below shown in #13 with brown fringe and #18 with black fringe.